This has been another day of transfer news, gossip, rumors, speculation surrounding the Gunners. It's been quieter than most days, but there is still some interesting news, so without further ado, here is the Arsenal Transfer News Roundup. This report and headline comes from the Daily Mirror, as they report that Honda wants to leave the club and that both the Gunners and Liverpool are interested in signature. Keisuke Honda has long been linked with a move to the Gunners and Wenger is a known admirer of the Japanese international. I believe Honda is a talented and quality player and would be good addition to the squad, he will reportedly cost around 15 million pounds. 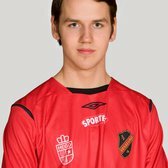 A report on Sky Sports, states that Arsenal are interested along with other English clubs in signing 18 year old Swedish fullback, Alexander Milosevic, who plays with AIK Solna. If Arsenal do sign him, it will be their 2nd youngster from Sweden to sign for the Gunners after Kristoffer Olsson, who's expected to sign soon. What do you think? Should Wenger go for Honda? Should Arsenal sign another youngster?